Jay Koka: I started experimenting with a completely new color palette last year and this painting is a continuing refinement of this experimental approach. 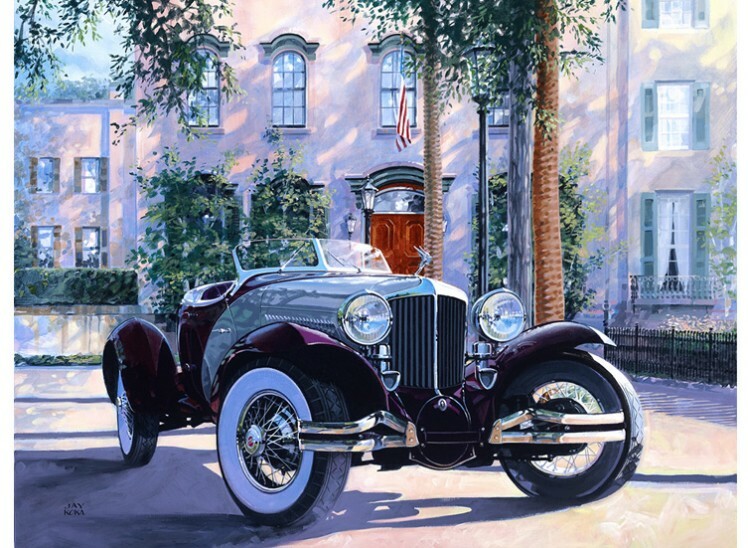 The magnificent 1931 Cord L-29 LaGrande Speedster is presented in one of Savannah’s historic squares. This is the 5th in a series of Savannah-based paintings. Sharp-eyed viewers will recoginize the square from the Savannah No1 painting. The contrast in painting style and color palette is quite dramatic." 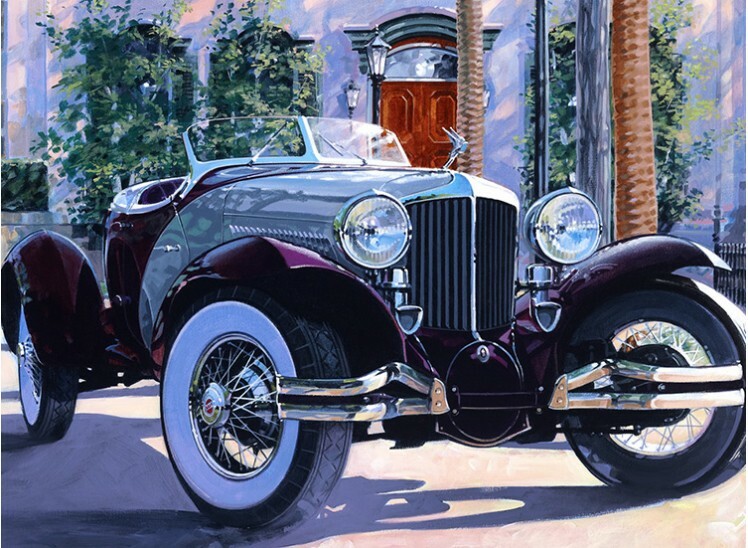 Awarded the coveted Peter Helck Award at the 2012 Automotive Fine Arts Society premiere exhibition at the Pebble Beach Concours d’Elegance. SHIPPING: Shipped rolled requiring stretching on arrival. Shipping for Canada and US INCLUDED. For Europe, US$45, please select SHIPPING item from "Shipping, Books&Media" Category.